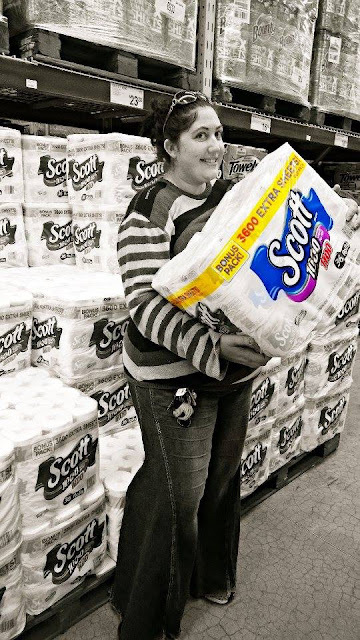 Sam's Club right now has Scott® 1000 bonus packs, which come with 100 extra sheets, because there are always times when you might need extra, like when we had our youngest son's 1st birthday cake-smash, or when we've had to mop up (instead of crying over) spilt milk! You can grab a Sam's Club Membership and check out your online listings to find Scott® 1100 Packs at a Sam's Club near you! You can get a $5 Rebate, too, and make this an even better savings! I headed to my local Sams club, today and picked up mine, and it was so easy and quick to find! Soft on bums, and on your wallet! Head online or in store to get yours, today and share with us on social media: #get100extra! Go forth, and get more! What are you waiting for?